Want to know more about creating product tiers in your membership community? In this episode, we will discuss this strategy with our our Flip Your Life guest member, Joe Muench. 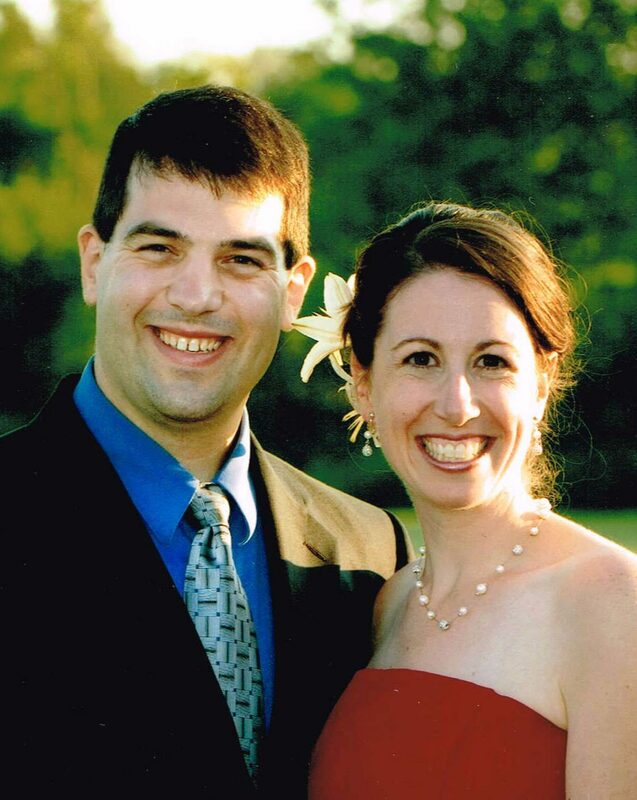 Joe is a pharmacist who works in a hospital’s intensive care unit, and has been practicing since 2000. His wife Daphne is an elementary reading teacher and supports him in his online business through brainstorming and doing all the editing. They spent the first year building their audience with their podcast, but didn’t have a product yet. At the end of the first year, he wrote a book, called “A Pharmacist’s Guide to Inpatient Medical Emergencies” to teach hospital pharmacists and residents what to do during a “code blue” in the hospital. On September 2016, Joe pre-sold and then launched the beta version of his critical care pharmacy academy – intended as a recurring membership site. The membership successfully launched by December 2016 and has garnered him over 90 members to date. Joe and Daphne are wanting to flip their lives by growing their online academy, so they can have the flexibility to spend more quality time with their two kids. They also want to foster the entrepreneur mindset as the children, ages 9 & 7, have expressed interest and had created websites of their own. Join us as we help Joe decide how to deliver different product levels in order to get more people onboard. We will share our insight on the advantages of using pricing strategies and get a deeper understanding on customer lifetime value. There are huge nuggets of online business wisdom that will help you take your online business to the next level in this episode. Time to get things started! That is awesome, Brenda just started her on the journey. We are really focused right now on building an audience for her, so we suggested that maybe she start a Facebook group. She did that, she’s experiencing success, and it is all because she put herself out there, and she took action. We are really proud of you, Brenda. Good job! Today’s Can’t Miss Moment is a recent trip to the spa. Don’t let Shane fool you, he is a big spa fan. We took off, I think it was on a Wednesday. We drove down to the spa. We don’t really have spas in our area, or not very nice ones. We drove down to Knoxville, and we went to a spa there. We just spent the day just hanging out. They have a sauna there. We used it for a while. I had a hot stone massage, and Shane just had a regular Swedish massage. It was really nice just to take some time and just to clear our heads, and not be thinking about business or really anything. Just to clear our mental space, and be able to relax. We went and had a really, really nice lunch, and it was just a really cool thing to be able to say, “Man, I’m a little stressed out right now. Let’s just forget about everything, and go do this.” What was really cool, too, was we left in the morning when we dropped the kids off, and we basically got home right after they got off the bus. It’s not like we had to take any time out of their life to do this. We had the freedom to do it during “work hours”. That was an awesome fun thing to do. Jocelyn: Hey y’all! 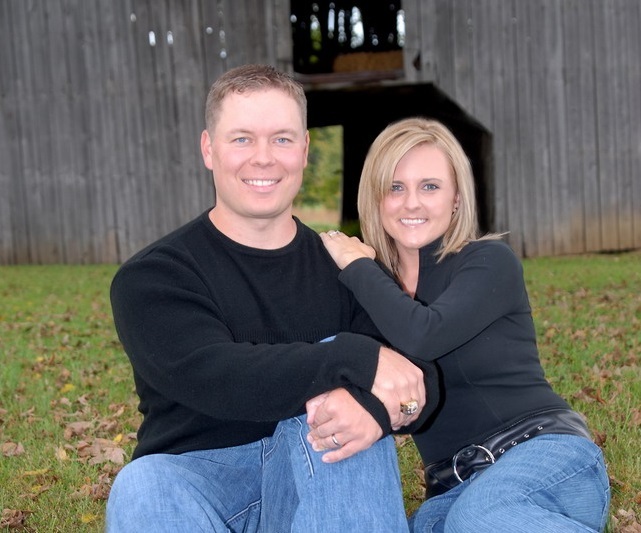 On today’s podcast, we help Joe take his Pharmacist Academy Business to the next level. What’s going on everybody? Welcome back to the Flipped Lifestyle podcast. It is great to be back with you again this week. For those of you who are new to the Flipped Lifestyle podcast, welcome. This is the place where we help you figure out what to do next in your online business. 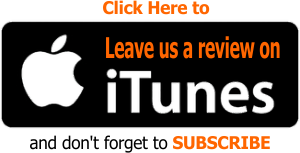 We are not your typical online business podcast. We do not do expert interviews, or bring on A-list guests who are promoting their latest book or course. We bring on real members of our Flip Your Life community, real people building real online businesses, and we help them on the air take their business to the next level. Then we let you guys listen in so that you can take your online business to the next level as well. 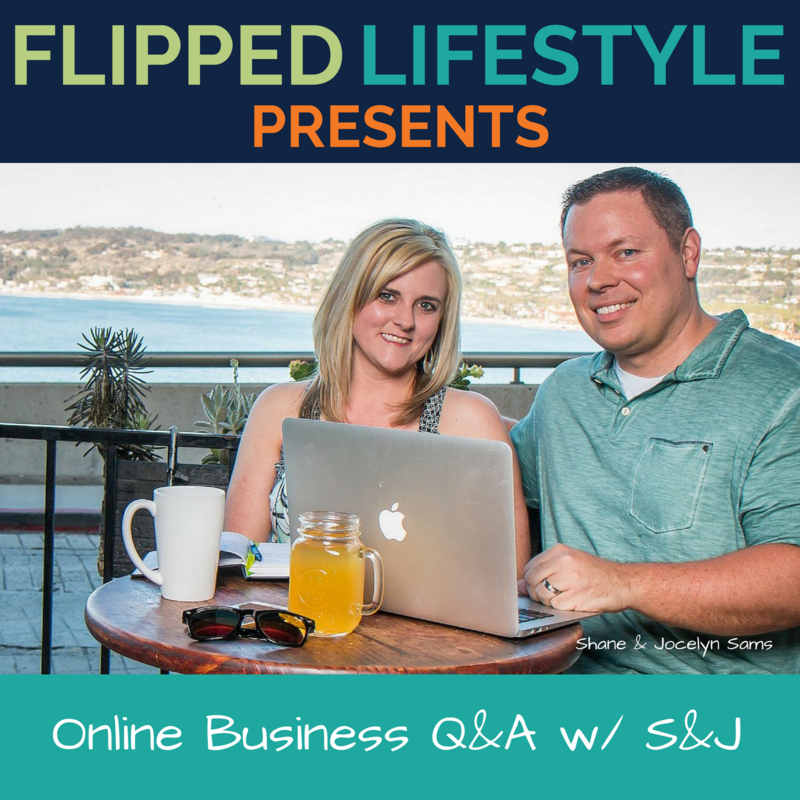 To hear the answer to today’s question, you can click the link on today’s show notes, and if you would like to watch all of our Q&A with S&J videos, head on over to flippedlifestyle.com/youtube and subscribe to our YouTube channel. Alright, guys, we are excited to welcome Joe Muench to the show today. Joe, welcome to the program! Joe: Hi, Shane, hi, Jocelyn, thanks for having me. Jocelyn: Hi. We are excited to talk to you today. You have a really fascinating business that we are looking forward to diving into. Shane: Joe is also one of our private mastermind members, so this will be a little bit longer podcast than normal because we are going to dive deep into his business, and we’re going to get into some higher level stuff. Joe, man, tell everybody a little bit about you, and what you do online. Joe: Sure, I am a pharmacist. My job is in an intensive care unit in a hospital. Everyone there knows me by Pharmacy Joe. I have been practicing since about 2000. My wife, Daphne, is an elementary reading teacher and she is my biggest supporter even though she can’t pronounce the medication names. We both work full-time in addition to our business. What I do is I have a podcast where I share critical care pharmacy information for other pharmacists. Then I have a membership Academy where I train pharmacists and build a community to teach them how to do what I do at work. Shane: Alright, so let me ask you a little bit about your website. You’ve got a pretty decent following here and you do have members in your membership, correct? Joe: Yes, I have now over 90 members, now that I started the Facebook ads, like you suggested. Shane: “I’m a business coach.” Or whatever. And when you joined the community, I was like, “This dude is a pharmacist. How does he make a podcast? I can’t even pronounce half the stuff he is putting in the forums, and he’s got a podcast about this with a following and 90 people actually paying him for his membership.” I just think that is so cool, man, that you can do stuff like that online. Joe: Thank you, yes, yes, I definitely would consider myself hyper niched. Shane: You are definitely hyper niched, but there is a bunch of people apparently willing to pay in that niche so that is okay. Jocelyn: All right, so you have a website, you have a product, that is awesome. You have some audience. 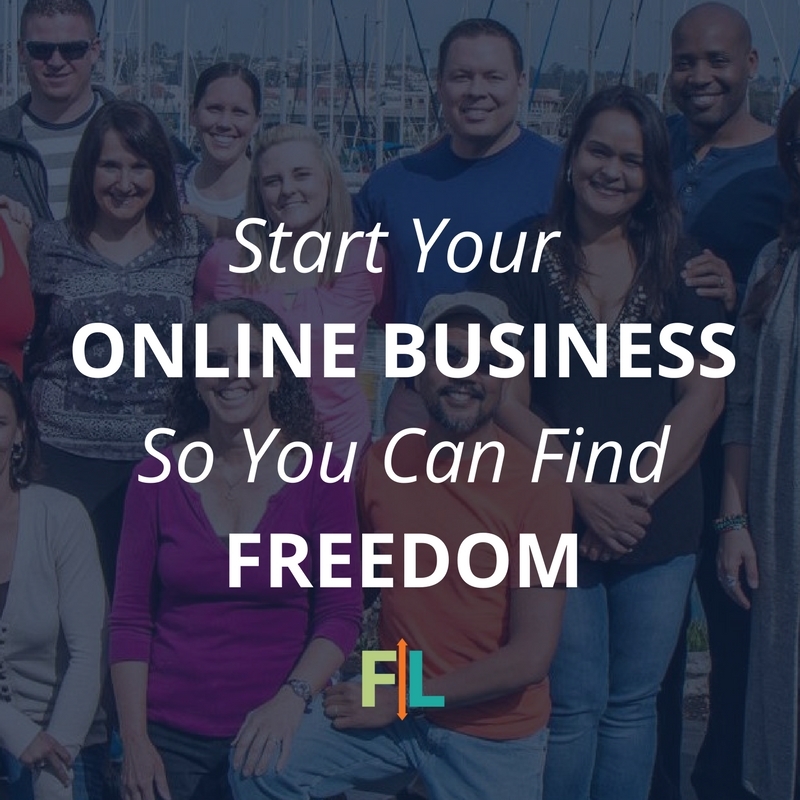 Before we jump into what we are going to do next, we like to ask people why you want to grow this online business. You have a great day job, obviously. Why is it important to you to be able to grow this following online? Joe: Sure. Daphne and I definitely want to flip our lives so that we have flexibility. 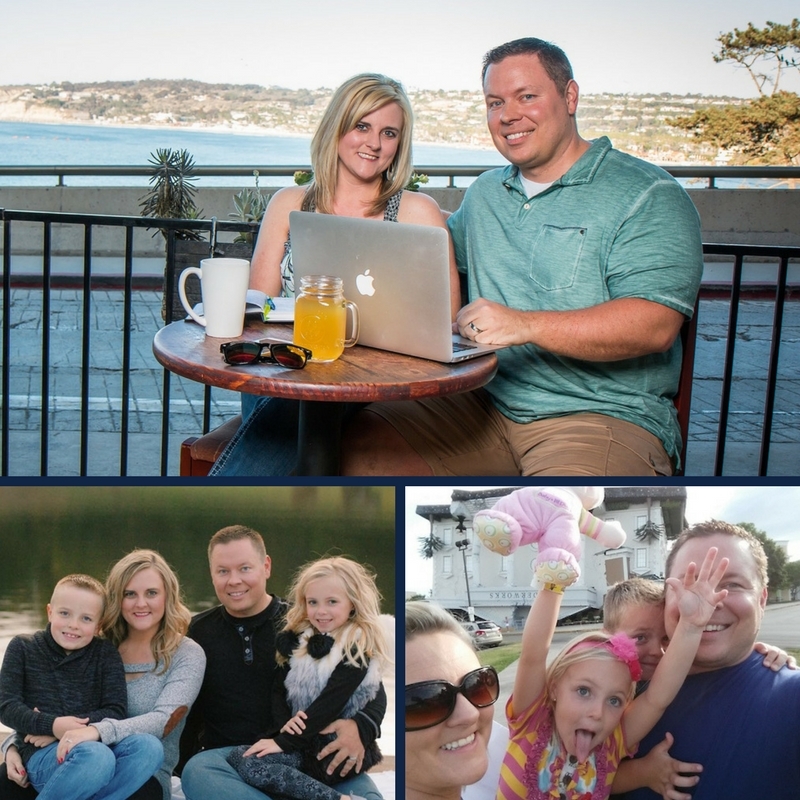 We want to spend more quality time with our kids and each other, and we want to show our kids, who are nine and seven, that online business is an option for them so they don’t necessarily have to do a 9-to-5 grind to start out. Joe: Absolutely, and of course, another ‘Why’ is I love the teaching aspect of my job. I never wanted to be teaching at the pharmacy college. I always wanted to be at bedside helping patients, but I like teaching one-on-one, and so I wanted to expand my reach teaching with a website as well. Jocelyn: Okay, Joe, we have learned a little bit about your business. We have learned a little bit about why you want to grow this online part of it. Let’s get into how we can help you move forward with what you’ve already put together so far? Joe: Great. I guess everything I’m looking at now is expanding the number of members that I have, and I see what you offer with different product levels. Right now, I really only offer one product level. I have my monthly rate for an Academy, which includes online trainings, it includes me doing a weekly review of new medical literatures specific to what my niche is interested in, and a community. I have the monthly and annual rate for that. And then I have an aspirational product. But I don’t have any different product levels, really, and so I am wondering if you could help me decide what different product levels should I offer. Shane: When you say an aspirational product, of course that means it’s the next thing up. You always want your customers to be stepping up to the next level. What is your aspirational product right now, is that like a group mentoring session? Is it private coaching with you? What does that look like? Joe: That is exactly what it is: A group mentoring, plus membership to the regular Academy and all the trainings involved with that. Shane: Okay, what do you charge right now for your membership, Joe? Joe: At the moment, it is $39 a month for the monthly members and $399 for the annual. Shane: Okay, and how old is your membership? Joe: I did my beta in September 2016 and I charged the first members at that point $20 to join the beta. I launched the full membership in December 2016. Shane: Alright, do you know the average months that people stay in your membership before they quit? Do you understand the lifetime value numbers yet? Have you looked at that? Joe: Yeah, I have that calculated from my website and I believe members stay about 150 days, but I don’t know how accurate that is because the site is so new. I’ve had only maybe 19 or so members out of 110 cancel. I suspect it is a little bit longer than that, but the number I have to work with from my software is about 150 days. Shane: Alright, we’re going to calculate some lifetime value here real quick because it’s going to be important for these membership tiers, okay? If we have 150 days, of course, we will divide that by a generic 30-day month. That is about five months– we will just go with that right now. It is close. This doesn’t have to be perfect to figure out what we are going to do. We can guess that the average customer lifetime value right now, not including the annual, because that’s going to skew it a little bit, if you 5 x 39, that’s going to give you an LTV of about $195. What I would suggest you do right now, we’ve got to increase that lifetime value. If your average lifetime value is going to be about $195, why not lower your annual price to $299? Because that automatically, every person that takes that is going to give you a greater lifetime value than what you were getting right now in your monthly membership. Then, what you can do, is leave that $399 or $499, or even a bigger price, and create a lifetime level where you can basically say, “Hey, this is a lifetime membership. The lifetime membership is going to include a year of normal membership where they are in the community, but it will have lifetime access to your content level.” You never want to give lifetime access to you or your people. You want to give lifetime access to content because that is a passive. The reason we want to do that is, it immediately gives you a bigger product, you have more tiers, it is on the page, you’ve got an offer for that lifetime level, you’re going to automatically make your annual product more attractive, which is going to increase your lifetime value because you are only getting 195 out of your average member anyway, so why not get 299? It’s going to lower that price, and it’s going to give you that anchor product in the end where you can say, “Hey, or for 500 bucks, you can join forever,” kind of deal. Jocelyn: Yes, and just a little note on that lifetime. We always make that to be the lifetime of the product. In other words, if your product is relevant for, say, four years, that will be the lifetime of that product. If in five years, your product is outdated and a lot of the things you refer to are no longer relevant or no longer accurate or whatever, then that product’s lifetime is over. Shane: Yeah, so if you cancel your membership, it’s the lifetime of your product, not the lifetime of them. Shane: That product doesn’t even matter anymore. We took it down because it’s not even valid in the marketplace. I think that is what you need to do with your tiers at first. You got to have some kind of anchor sitting on one side of your product. That is what that $500 lifetime– it can be anything you want. It can be $799; it could be huge. Jocelyn: Typically, with the lifetime-type product, you do want it to be a little bit bigger. Shane: Yeah, you could say, “Double lifetime value,” so you might want to do $799. But then the other tiers, then, look so much more attractive sitting next to that. That is the reason why we have multiple tiers. One thing we’ve been experimenting with our membership, like the private mastermind that you’re in now is, we have found a strange phenomenon happening since we’ve added our private level, and our lifetime level. People have floated in and out of that private mastermind. We had someone just the other day who is an annual member, and they asked, “Hey, can I join the private mastermind, but keep my annual rate? I’ve got a really good annual rate from a year ago, and I don’t want to lose it.” We were like, “Sure.” She wanted to come in for the next two months into the private mastermind, which is $300 a month, $299, and then she wanted to go back out, and just go back into the normal community where they don’t have quite as much access to us, but they are still the community and everything that is there. That is the kind of a neat thing that is happening in ours. When you do that lifetime, and when you do that private level, that special tier, and then you have your normal level, you might have people floating in and out of that easier if the price is a little bit lower for that. That is a good way to build those tiers. Is that what you were asking? Joe: Yeah, absolutely. I guess my follow-up to that is, so what should my upsells look like for each product level? I kind of get stuck on the last one. Shane: When you talk about upsells, here’s what needs to happen. It can be content. There is nothing wrong with you having special content at higher levels. Our philosophy in general works like this for our tiers: the more access you get to us, or the more access you get to really high level stuff, is the more money you pay. At the beginning, we may have a content-only level, we give all our content away at all levels because that is what people are paying for. The content exists at our lowest level. When you join the community and you get access, we are in the community participating, and you have hundreds and hundreds of other people who are working together to build their businesses, that is a next level of how we upsell. So we might say, “Hey, you’ve already got the content. Come into the community.” Then if you want to go into our private mastermind, which is really intense, we are checking that daily, that is how we upsell the next thing. It is kind of like access. You access the content, okay. If you want to pay more, you’re going to get access to the content and the community. If you want to pay even more, you’re going to get access to the content, community, and coaching. Yours is situated in a way I think you could probably copy that. Joe: Okay, great, thank you. Yes. Shane: Alright, do you have any follow-ups for the question? Joe: Oh, actually I do have one more question about the product levels. I was just intending next month to increase my membership rate by something like $10 or $20 a month. How should I recalculate my lifetime value? Shane: You should not recalculate lifetime value until people actually pay that over at least five months because that is what you’re getting now. You can’t just say, “My price went up, therefore my lifetime value went up.” What if all the people at the $49-level cancel in three months? Do you see what I am saying? You’re going to have to ride that out and wait for that. Shane: And then what you can do is you follow-up after the price increase, and you tell all the people that are in your membership, “Hey, guys I’ve increased my price to $69 a month. You are in at $39, you can keep it forever, just don’t let it cancel.” You will actually see those older members’ lifetime value increase a month or two because people will stay longer because they don’t want to lose that really good price. Shane: –Ridiculous for the price. Jocelyn: Yeah, it is really, really good compared to what we ask people to pay now. Shane: We have people all the time be like, “I’m never cancelling. Ever. Get used to me because I’m sticking around.” Another thing about lifetime value that is really weird is– I’m going to use round numbers because I can’t do 39 over and over– let’s say your price is 50 bucks a month. Let’s say your average person stays for five months. What is 5×50, 250, is that what it is? That’s a lifetime value of 250. But let’s say you eventually get to a point where your price is $100 a month, and let’s say that people stay an average of three months. How much is that: $300. That’s basically how you’re going to do that lifetime value. Raise your price, lock the old people in, move some people off your list, and then ride it out for six months, re-evaluate that lifetime value. We do it about every six months, and then you can start making new decisions on how to raise your price going forward. Jocelyn: Okay, we’ve established that you want to increase your pricing and what we are going to do kind of moving forward on the different offerings that you have. What else can we help you with today? Joe: I’m really interested in what I should be doing next to get more members. I’ve started a Facebook ad campaign, I plan on doing the one-dollar trial again like we’re talking about in the private forums, and what is next for me? Webinars or, what do you think? Shane: What percentage of your actual email list and your actual followers on social media do you think you have converted into members? Joe: Sure, I’m fine sharing my email list. I’ve got about 2700 people on the email list. Ninety of them are members. Shane: Other people have joined, too, though, right? Like what they quit? You have 90 members now, but you said some people have joined and quit. Joe: Oh right, sure about 110 total have purchased, yes, yes. Jocelyn: So, you have converted about 4% of that list, assuming that they all came from the list. Some of them might not have. But 3 to 4% is a really decent return as far as how much you are converting. Three to five is typical in the industry. I would say that you are doing really well. I think that there are probably some people on your list now that you could get to jump like what we were talking about earlier, and I think a great way to do that is this price increase strategy. I feel like you could pick up probably about a decent amount of people who are just thinking about it or on the fence by doing that. Shane: You’ve probably got at least another 1 to 2%. Theoretically, you can get probably up to 10% out of it so hyper niched. Definitely part of your strategy right now is, “How do I convert more people off that with the things like the one-dollar trial? With things like the price increase? I think that is definitely the next couple months is we focus totally on this warm/hot traffic, the email list that you have built and we say, “Okay, let’s get that extra 1 to 10% out, let’s get 20, 30 more members.” Then the next step is, okay we have solid numbers here, we know that your offer is converting somewhere between 5 and 10%. We’ve got a good offer. We’ve just got to get more people on that email list. Step one is going to be: Get that extra 20 members out of that list in the next 4 to 6 week. I think the price strategies are your best bet there, too. I think that is going to help move some people. After that, now, we’ve got to worry about cold traffic. We’ve got to find more pharmacy people, more people interested in my stuff, and get them into my brand. That is going to be like cold ads, the free content and getting those converted over to emails because now you know, “Every time I get 2700 emails I get 90 members.” That is the game we are playing now. How do I get those next 2700 people? Jocelyn: And I don’t think that webinars are necessarily a bad strategy for you, but the way that I would go about it is to warm people up. You find some cold traffic, you start to get them to know you, and like you and trust you. If you give them a pitch, and they don’t take it, then maybe it’s time to invite them to a membership-Q&A-type webinar. Shane: Something that you can tell them exactly what is involved, basically. Your next step is definitely, let’s focus on the list, like when you offer that trial, you had some success with that dollar trial back in the past. We can do that again if we could move 40 people and keep 50% of them, there is your 20 members. I would do the dollar trial first, get as many people on as you can, and then eight weeks from now we are going to say, the price is going to up. We will hit that list again. Let’s say you add 20 members in the dollar trial, but now you can say, “You’ve got the $39 price. I’m raising my price, don’t lose it,” once they renew, and that will lock them in, too. Shane: Alright, perfect. All right, Joe, what else do you got for us today? Joe: I want to make sure that I’m using my podcast in the best way possible to lead to my Academy and my membership product. Right now, my episodes are about five or so minutes long, my audience loves that there is no fluff. I get straight to the point with my topic. I always have a call to action to go with the show notes for my references, and occasionally, I will talk about an opt in, or some announcement that I am making on the podcast, so is that the ideal way that I should be using the podcast to lead to the Academy, or is there a better way? Shane: No, I would reference within 5 to 6 minutes as you are talking about your topic. I would always leave a nugget in the middle somewhere. “Hey, you can download something, or get something in the show notes,” but you need to be pitching the Academy at the end of every episode. Jocelyn: I wonder if maybe, I don’t want it to become too much of a pitch fest because I understand what you are saying. Shane: How many days a week is your podcast? Jocelyn: I’m not sure what you are doing on your podcast. Are you answering questions or more just talking about something that is on your mind? Joe: Every Monday, I will go over a topic that is relevant to critical care pharmacists to teach them how to manage a certain disease or how to use a certain medication. Then every Thursday, I discuss an article, a recent article. Shane: Because the goal is to get them back to your site and into your community. Jocelyn: But what you don’t want to do is annoy those people. You don’t want to do a three-minute podcast, and a three-minute pitch for a community. People aren’t going to like that if they are used to your current format. Shane: But if they know that there is another 10 to 15-minute discussion, because I’m sure these topics, you could go deeper in. Joe: Absolutely. Although, it does take me quite a bit of time to prep for each one, but yeah, I could always go deeper on the topics, yes. Shane: Exactly, and you can just expand on your thoughts in that first part of the show, too. It doesn’t have to be riveting, ground-breaking science inside this thing. It is just there is bonus content, they get there, they get to participate by asking questions about what they heard. I think that is the draw, too, you are not saying give me your money. You are saying, “Come join the community,” and that is going to be an easier way to soft pitch that. Shane: Do you have social media that you are giving to these people on your show, too? Joe: I don’t reference it in every podcast, but my social media profiles as I started out with were Twitter and LinkedIn. I’m just now adding Facebook, and I’m considering YouTube. Shane: Do people communicate with you on Twitter? Joe: Yeah, I’ll get some discussions going there if I put out a poll, I will usually get 100 or so responses on the poll. Shane: Oh my gosh, you are at the beginning of your show. As soon as you start, you could mention that they could follow you on Twitter, okay? Have your Facebook and stuff, but Twitter is so easy because you can say, “Hey, don’t forget to follow me @PharmacyJoe,” or whatever your Twitter handle is, and that way you’ve immediately opened dialogue which allows you to draw blanks to your Academy. Jocelyn: Yeah, and what I was going to say is, you might want to rotate these so like maybe, you don’t mention that on every single podcast. Or maybe you don’t say, “To go deeper on every single podcast.” So maybe you do it like, once a week. Maybe you do it every other week. Maybe one week, you do a call to action for your Facebook page. One week you do one to your Twitter page. One week, you do one to come in to the community to learn more about this particular topic. You don’t always have to make it into a bunch of extra work for you. You could just do that when you have a topic that you could talk for 10 or 15 minutes. Shane: You could also manage this. You have eight a month, and you do, what did you say, Monday and Thursday? Is that what you said? Basically, Monday could be your extended episode thing where you pitch your community. Thursday could just be, “Hey, guys, if you want to talk more about this, hit me up on Twitter, @PharmacyJoe,” or whatever it is.” That way it doesn’t feel like every episode, this guy is trying to get me to join his thing, blah blah blah. Sometimes, he’s just trying to connect with me on social media. Joe: Sounds good. Thank you. Jocelyn: All right, we’ve got some really cool things going on here. I really like all the ideas that have come out of the podcast. I think that could be a big win for you. Let us move on and talk about your next question. Joe: Okay, this relates also to a question going on in the private mastermind now. It would be possible for me to get the physical addresses and emails for folks that supervise by avatars, hospital pharmacy directors and residency directors. How could I leverage that? I have a book that I’ve written. Should I send them a copy? Should I send them free content via email, or should I just leave that alone, and focus on my promotion on the ads? Shane: Can you create a business-to-business version of your membership? For example, I assume in a hospital there is a supervisor, and maybe they have a big hospital. How many pharmacists work in a big hospital? 10? 20? Joe: It could be more on staff. It could be 10 at a time, it could be up to 80 total employed. Shane: Okay. I wonder if there is a B2B situation here. Okay, here is your marketing plan. You find out that person, you send them your book for free, and then maybe you follow-up with a straight offer that is like, “Hey, my membership is right now $49 a month. You’ve got 80 pharmacists on staff. I would love to let your whole staff join, and it will be $19 a month. it would be great continued education, it would be a great community for them,” and you might get 50 members at $29 a month, just like that. Why not create a business to business offer? This is also good, too, because there is not some of that hesitancy to pitch. It is like, “No, I’m giving you this for 55% off or something, and your whole staff can join, and it’s going to make you a better pharmacy unit.” Why not just have that kind of offer? Jocelyn: I think that if you’re going to do something like that, I’m fine with doing that. Especially for institutions. It’s sort of like us with schools. That information is public record. It’s easy to get. But you need to do something to get their attention. I like the idea of sending them a book, because if you send them a package, chances are they’re going to open it. If you send them an envelope, it might end up in the shred pile. But if you send them something, they are definitely going to open it. Shane: I mean, imagine this: let’s say you spend 10 bucks to send a book, and a letter, or something– you can systemize all this, too, and have an automated– then you send an email to the director, “Hey, I sent you a book, look for it in the mail,” they get the book, bam, you spent 10 bucks. Let’s say that person joins with 20 pharmacists, and 30 bucks a month. All of a sudden, you’ve added $600 a month for a $10 investment. Jocelyn: But on that token, you definitely want to test it first. I would start in your state, or maybe in a state, and just try it out in a state and just try it out first. You don’t want to spend $10,000 on mailings when you don’t know if this is going to work. Shane: I would start even closer. I’m sure you have relationships with pharmacy units around you. I’d get 10 books, I would walk into 10 places if I were you, and say, “Hey, Jim, you have a great pharmacy thing, I want to give you a copy of my book, and I also want to tell you about my membership area. I would love to let all your pharmacists into this. I think it could really be official for you and your hospital.” They have a budget to spend. It is not their money anyway. You just have to convince them to spend the hospital’s money. And you know, it is gonna be good for them because all their pharmacists are going to have great information, a community. Shane: That is probably a great way to test that. Let’s just pick 5 to 10 hospitals and show up, see what happens. Jocelyn: See if you sell anything. Joe: Okay, all right, thank you. Shane: If it does work, then you turn the live presentation into an email/letter/automation thing. Jocelyn: Well, this has been a fascinating conversation today. I think that I’ve learned some things, and I hope that you have, too. I think that our audience definitely will learn a lot from what you’ve already done and the success that you’ve already had. As we move forward, based on what you asked us here today, we always ask our callers just to give us one thing that you plan to take action on based on our discussion here today in the next day or so. What are you going to do? Joe: Okay. I’m going to set up the product, and behind-the-scenes stuff, and write the copy for my dollar trial. I have to be able to push that out to my list. Shane: That is perfect. We will get that done, we will maximize as much value out of this as we can, and then we will start moving forward to take advantage of growing your audience and getting that out to those businesses as well. Well, listen man, thank you so much for sharing today. Just a deep high-level conversation about how to take an existing membership that is thriving, that is healthy to the next level. I just want to appreciate you for being so transparent, letting everybody listen into this call so that they can grow their memberships and their online businesses as well. Joe: Great, thank you, Shane. Thank you, Jocelyn. I really appreciate it. Shane: That was another information packed call with one of our Flip Your Life community members. Hope that you got a lot of benefit out of our answers to our guest’s questions as well. Jocelyn: All right, it is time to move into our Can’t Miss Moment segment of the show, and these are moments that we were able to experience that might have missed if we were still working at a normal 9-to-5 job. 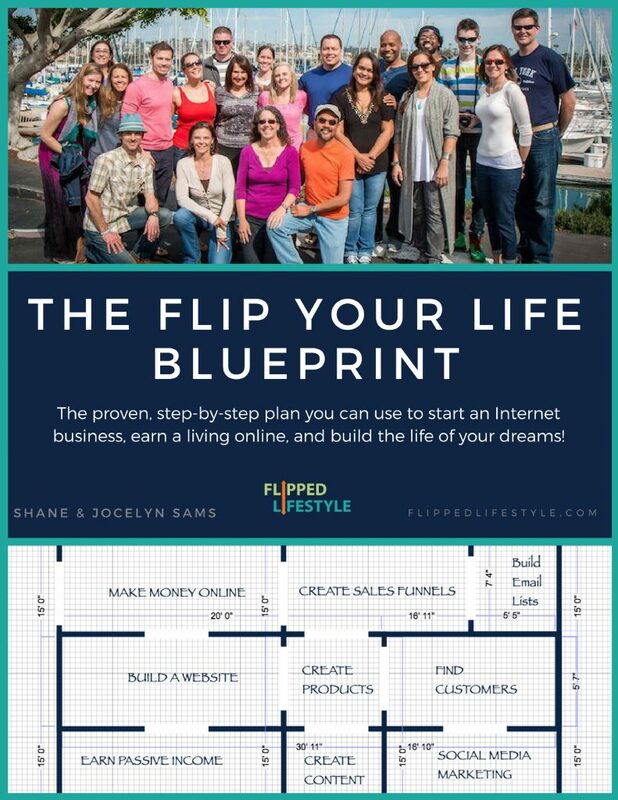 Shane: I’ve learned to appreciate the finer things in life through the Flipped Lifestyle. Jocelyn: We took off, I think it was on a Wednesday. We drove down to the spa. We don’t really have spas in our area, or not very nice ones. 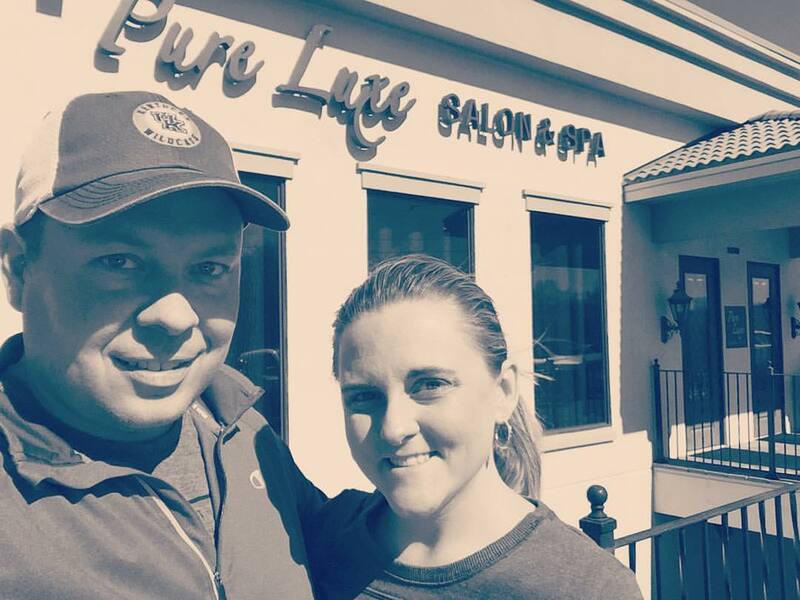 We drove down to Knoxville, and we went to a spa there. We just spent the day just hanging out. They have a sauna there. We used it for a while. I had a hot stone massage, and Shane just had a regular Swedish massage. It was really nice just to take some time and just to clear our heads, and not be thinking about business or really anything. Just to clear our mental space, and be able to relax. Shane: Yeah, it was cool. We were there for three or four hours. There was a men’s lounge, a woman’s lounge, and there was a co-ed sauna that we could hang in. And if you’ve never been a spa, they’ve got these crazy showers where there are 10 showerheads on the walls hitting you from the sides. There are five on the back and a big rain thing falling down so you get to take this really cool shower. We went and had a really, really nice lunch, and it was just a really cool thing to be able to say, “Man, I’m a little stressed out right now. Let’s just forget about everything, and go do this.” What was really cool, too, was we left in the morning when we dropped the kids off, and we basically got home right after they got off the bus. It’s not like we had to take any time out of their life to do this. We had the freedom to do it during “work hours”. That was an awesome fun thing to do. Shane: That is awesome, Brenda just started her on the journey. We are really focused right now on building an audience for her, so we suggested that maybe she start a Facebook group. She did that, she’s experiencing success, and it is all because she put herself out there, and she took action. We are really proud of you, Brenda. Good job! Remember guys, everything in your life there’s a bigger picture at stake. You don’t have to please anyone. Just go out there and use the talents and use the abilities that God has given you. Get out there and use it to change the world and make something happen in your own life. That’s all the time we have for this week. As always, guys, thanks for listening to the Flipped Lifestyle podcast and until next time, get out there, take action. Do whatever it takes to flip your life. We’ll see you then.